Alaska Native News Aug 19, 2018. A short chase ended in the capture and multiple charges against a Craig man on Saturday evening troopers reported. 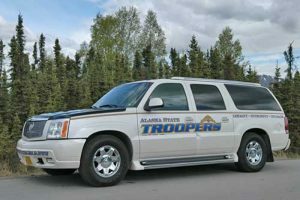 At 7:33 pm Prince of Wales-based troopers observed 42-year-old Walter Young driving at excessive speeds and repeatedly crossing the center line within the city limits of Craig and attempted a traffic stop. When the vehicle came to a stop, Young got out of the vehicle and fled on foot. A short foot chase ensued and during the chase, troopers deployed a taser taking Young down. Young was apprehended and taken into custody. Young was taken to the Craig jail where he was remanded on charges of Assault IV (LEO), Disorderly Conduct, and Violating his conditions of release.